Two recent newspaper articles seem to give some answers to questions raised in several of my recent posts. A couple of months ago I wondered about how to respond to my 4 1/2 year old grandson when he asked me if it was OK to lose at a game. A number of you wrote thoughtfully, either in the Comment section of the post, A Question From a 4 1/2 Year Old, or in an email to me. Thanks to tips from readers HS and BT, I draw your attention to this article, Losing Is Good for You by Ashely Merryman. While the article focuses on the ‘folly’ of giving trophies to every one who participates in a game, a sport, it also speaks to the larger issue of praise, over praise, and what that does to kids. This issue has deservedly received a good deal of attention recently, and I find I am guilty of erring in this regard too. The second article, A Season of Tough Lessons for the Nats, by Thomas Boswell, addresses not only the Nats but also all those of you (90+%) who predicted last year’s National League darlings would continue and perhaps do even better this year. As is often the case in a Boswell article, he seems to nail not only the specific issue he is addressing, in this case, why the Nats failed to live up to expectations, but also has some good advice that goes beyond just the Nats and baseball in general. I appreciate that you have been quite patient with my mishegas (craziness) again this year with the Red Sox. I have also noticed that you haven’t ‘rolled your eyes’ when I’ve said that getting into the playoffs isn’t enough, that the Sox need to have the best record in the American League too. But I’m not sure you understand just how important it is have the best record. So a quick post for you to know why I am continuing to stress about my heroes even tho they will be in the playoffs. 1) They will have home field advantage in the two series they would have to play to get to the World Series. In the first best of five series and then in the second best of seven series if there are final games, those crucial games would take place in Fenway, home of the brave. How important is that, you may ask? Of the 81 games they have played at home this year, they are 53-28. They have won 65% of their games at Fenway. Of the 78 games they have played away from home so far this year (they still have three left to play this weekend in Baltimore), they are 43-35, 55%. Enough of a difference to matter. 2) They will face the winner of a one game Wild Card play off. And that team will have used their best pitcher in that Wild Card game, meaning the Sox won’t have to face the likes of say a David Price in their first game. 3) They will not have to face Detroit in the first playoff series. Detroit has both terrific pitching and strong hitting. And there is always the chance they will be defeated by the time the Sox have to play them. 4) They will not have to make two trips to the West Coast to play Oakland (going back for a final game if the series goes that far), which means they will be more rested. But playing at home, playing with the most rest possible, and not having to face one of the best pitchers in baseball to get to the World Series all matter. Those are not guarantees that the Sox would make it to the World Series. It’s probably no surprise for those few of you who follow MillersTime closely (a couple of loyal family members and several other friends who have nothing better to do with their time) that I am thoroughly enjoying my retirement with its freedom from the care taking at The Frost School and of my parents and that I am loving the freedom to choose each day what to do with my time. The answer to the first question is an unequivocal “No,” even though those ‘working’ years were wonderful. The answer to the second question is a bit more complicated, as no two days are similar. I might choose to read an entire day, go to a mid day movie, or work on my second ‘work’ love, writing a post for MillersTime. Or I might focus on the Red Sox (Spring Training for example) or even attend a Nationals’ game with a friend, which is much less stressful than watching a Sox game. Then there are my daughters and whatever is occupying their lives. 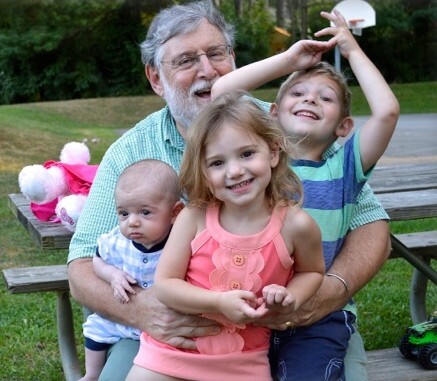 Trying to keep up with the grand kids has become even more interesting with the addition of a third (see the post, Three Is Much More Than Two). And, of course, there is always travel as I am free to join Ellen on any of her many work trips around the country and around the world, where I spend part of a day observing her world, then explore whatever place she has taken me, before we both add on a few days of langiappe, exploring wherever we are. All of the above is a somewhat meandering introduction to today’s post. 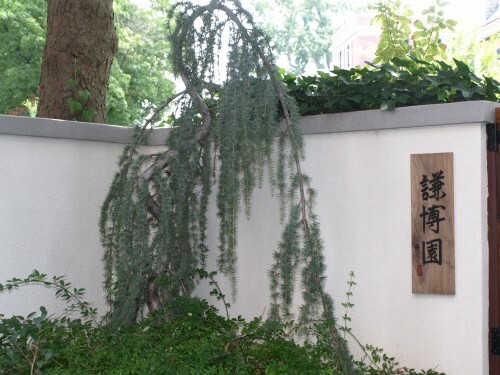 Another activity that I have been able to undertake has been the two-year planning, development, and creation of two Chinese Classical style gardens in the two small spaces beside and behind our house. Actually, as you will learn from the attached link, I have been thinking about Chinese gardens ever since Ellen, my father, and I first went to Suzhou in the 1980s. Something about those gardens grabbed me and has stuck with me for more than 30 years, even tho I have never thought I had much interest in plants, flowers, and gardens in general. Anyway, with the completion of a makeover for our kitchen and an upgrade of our study/library and sun porch (another two-year project that I was able to oversee), I turned my attention to the two contiguous outdoor spaces, one next to our kitchen and one next to our sun porch, which I have long been thinking about as possibilities for replicating some of the delights of the Classical Chinese Gardens. With a wonderful partnership with a landscape gardener, Thomas Virnston, (click to link to his website and a video of the two gardens), we are nearing the completion of these two spaces, which, with the help of our long time friend Ping, we’ve named them The Humbler Blogger’s Garden (after The Humble Administrator’s Garden in Suzhou, one of China’s best classical gardens) and The Fragrant Reader’s Garden. Through a friend of Thomas’, an article on the creation and completion (mostly) of these two gardens was just ‘published’ on the website Divine Culture Insider: A magazine about traditional culture and contemporary society inspired by the performances of Shen Yun. The author and photographer for the article, Maureen Neuman, has restored my faith in reporters as I think she has captured the essence of what we’ve tried to create. If you are using a laptop or desk computer, click on the link below this paragraph and have some patience as the PDF of Maureen’s article may take a few moments to load. It’s also possible to simply read the on-line article from the link below this paragraph, but you will miss the wonderful graphics and some pictures. If you chose this link, be sure to click on the two links below the article as Terri’s reporting in this version is split into three parts. And consider coming to see the two gardens yourself. Contest #5 : The Red Sox and the Yankees play 19 games this year. Last year they played 18, and the Yankees won 13 of them. What will the split be in 2013? Tie-Breaker: Who will be the outstanding player for each team, and who will be the dud on each team this year? Prize: Two tickets to a Sox-Yankee game in 2014. Winner can choose the park and whether or not I join (use the second ticket). Fifty-four per cent of those participating said the Yankees would win the series, taking 11.4 games to the Sox 7.6. The 46% of you who thought the Sox would win said they’d win 11 games to 8. With last nights 9-2 victory by the Sox, a sweep of the final three game series between the two teams, the Fenway heroes put the final nail in the coffin of any possibility of the Yankees winning the AL East Division. The Sox, on the other hand, improved their record to 92-59 (.609) and increased their Division lead to 9.5 games over the tottering Tampa Bay Rays. With 11 games remaining in their regular season schedule, the Sox Magic Number is down to four. Oh yes. The Sox-Yankee split this year? Sox 13 to the Yankee’s 6, with the Sox scoring a total of 120 runs to the Yankee’s 85. A(nother) total reversal of 2012. Four of the MillersTime contestants were tied with the closest predictions. Dan Fisher, Meg Gage, Jere Smith and Tracy Capulo all predicted a split of 12-7, favoring the Sox. Since Dan and Tracy failed to make predictions about who would be the outstanding players and who would be the duds, they tie for third place in this contest. That leaves Meg Gage and Jere Smith. Meg said Pedroia would be the Sox hero, and Dempster would be the dud for the Sox. And Cano would be the hero and Teixeira the dud for the Yankees. Jere said for the Sox, Middlebrooks would be the outstanding player and Aceves the dud. 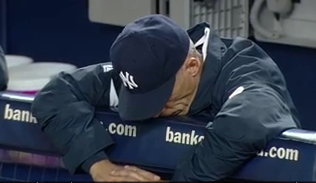 For the Yankees, he picked Sabathia as the hero and Youk as the dud. By the power invested in me by me, I therefore declare Jere Smith runner-up. And Meg Gage wins the prize and gets to see a Sox-Yankee game in 2014. However, if Mr. Smith would like to appeal this decision to the MillersTime readers, I will give him one week to present his case, and then I will put the appeal decision up to a vote. Hopefully, for the rest of this season. And for ever (forever) for A-Rod. 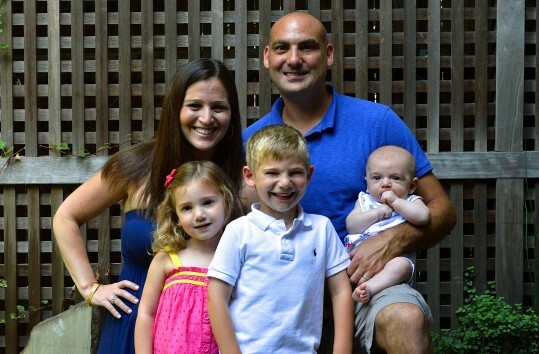 So in a moment of weakness, my wife Ellen and I agreed to move into my elder daughter (Annie) and son-in-law’s (Danny) house a couple of weekends ago to take care of the three kids for 24 hours. Annie was surprising Danny for his upcoming 40th birthday with a night ‘on the town’ in DC with their friends. Promises have a way of coming due, and so we kept our word. As you can see from the picture above, the kids are getting to be a handful. But we all survived, and I don’t even have my usual list of ‘disasters’ to write about. But I did get to thinking about the differences between one child, two, and three. 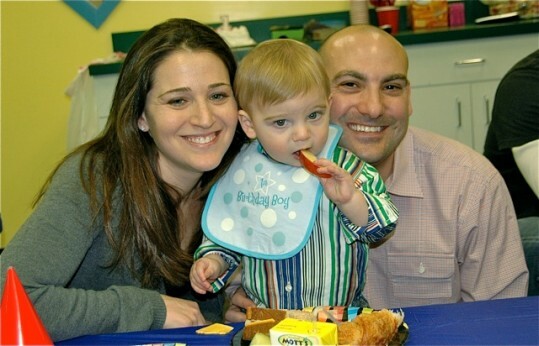 For example, with just one kid, there are only four possible combinations (groupings) that have to learn to get along: Annie + Danny + Eli (1); Annie + Danny vs Eli (2); Annie + Eli vs Danny (3); and Danny + Eli vs Annie (4). When you add another child, Abby, for example, the combinations, groupings jump to 8. When you add a third child, Ryan, for example, the combinations jump to 16. Bottom line: the difference in the combinations of groups jumps from 4 to 8 to 16, which are multiples, confirming my instinct that having two or three kids is not like adding one or two more. Its a geometric increase, not an arithmetic one. But then any of you who have more than one kid certainly doesn’t need this posting to confirm that. Those of you who open my emails touting my latest nonsense on MillersTime know of my acknowledged addiction to the Boston Red Sox, even if you, wisely, avoid reading what I write about them. There is a second addiction, which some of you may have discerned and I am willing to acknowledge here, and that is to Lee Child’s thrillers featuring his, and many of his readers’ obsession with, his hero Jack Reacher. All of the above is an introduction to Lee Child’s latest book, Never Go Back, and my attendance at a Lee Child’s book talk last night in DC. The first 40 or 50 pages (it’s hard to tell about pages when reading electronically) are as good as Child’s best. 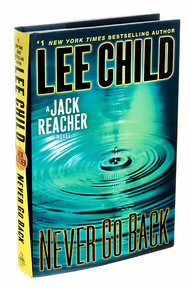 Never Go Back opens with Reacher, in fact, going back to Washington, DC, where he’s spent a good deal of his ‘professional’ career and where he immediately gets himself thrown into jail. The middle of the book slows a bit, and I found the ending (it’s not a spoiler to say Reacher wins again) a bit anti-climatic, tho there is some question about what will happen between Reacher and his female counterpart. In fact, that is both the good and bad about Child’s writing. It’s absorbing and a wonderful diversion to whatever else is going on in the reader’s life. And then it’s over, and I, for one, cannot remember or separate many of his earlier books from each other. Someone said Child’s books are ‘candy for the brain.’ That sounds about right. Tho I’d add that they’re pretty high quality candy. And somewhat addictive too. I’m not sure what I expected of this evening, other than hoping (against hope) that I would see Jack Reacher himself. But despite not meeting Reacher, the evening was more enjoyable and more informative than most of the book talks I’ve attended. First of all, as I’ve written elsewhere, he’s not Lee Child. That’s just the pen name British writer Jim Grant uses, tho I still haven’t learned why he needs an alias. And there was no reference to the name Grant at his appearance last night. Not sure what that’s all about. Now, 18 books later, one a year since his first one in 1997, Child says, “This is a great life, a great job, and I meet nice people. Plus, now that I’ve spent as much time writing as I did in television, I think I may never have to get another job.” He said he “had no work ethic, being a European” (tho he now lives in NYC) and thoroughly “loves the craft, art, and creativity of writing, even if sometimes I have to write as much as four or five hours a day.” He claimed he does no research, at least in the traditional sense, tho he stores experiences and observations which he uses in his writing and sees his whole life as research. For those of you who have not read any of Child’s books, know that even though his main character appears in all of them, each of his books stands alone, and you do not have to read them in any order. For those of you who may be wondering how long Child/Grant will continue writing, he told the audience that at one point he thought he might stop with this book, Never Go Back. But in fact he recently signed a contract for another three books, and on September 1 (“I always start a new book on Sept. 1,” he said.) 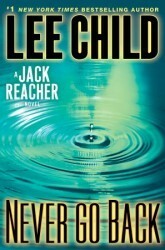 he began his 19th Jack Reacher book, which he’s tentatively titled 20 Seconds Ago. 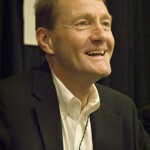 Lee Child may not be Jack Reacher, but clearly he admires him, has some physical similarities to his ‘hero’ and from listening to Child talk, clearly he’s put some of himself into this character (his sense of time, his sense of humor, his feelings about violence, his view of the world, for starters). And Child/Grant is as every bit as likeable as is Reacher. A good evening and a good introduction to the man who has been responsible for many hours of this ‘guilty pleasure’. 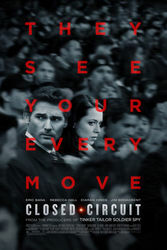 Of the three films mini-reviewed here, Closed Circuit is the least memorable and just makes it into the category where I post a mini-review (above three stars). Nevertheless, as the film ended, I was wishing to myself that the film had continued for another half hour or so, at least. I was involved in this British crime thriller throughout its 1 hour & 36 minutes, and I enjoyed the story, the characters, and the acting. Perhaps some of my interest came from the current concerns of our NSA’s infiltration our daily communications, or at least their ability to do so. Not that this film addressed the specific issues that are so troublesome about what the NSA is doing, but it comes close and does focus on the role of government crossing boundaries as it attempts to stem terrorism. However, despite its ability to keep the viewer totally engaged, it was not memorable in the way that some of the best ‘whodunit/what happens’ films are (whether that has to do with my increasingly short term memory challenges or the film itself, I’m not sure). So, if you’re looking for a thriller film that will keep you entertained, if only briefly, check it out. Definitely one of the best I’ve seen so far this year. I admit I was primed to enjoy the film (tho also perhaps to be critical of it) as it has much to do with how I’ve spent my professional life, working with unhappy, hurt, angry, and emotionally troubled adolescents and also my close involvement with the staff charged with the care and treatment of these young people and their families. The setting of the film takes place in a short term (supposedly 12 months) residential facility for adolescents who have all been in foster homes and who have been scarred and for various reasons have nowhere else to go at this point in their lives. But the film goes further as it also focuses on the interactions of the young, ‘front line’ staff (mostly in their 20s) with these adolescents. Grace (wonderfully played by Brie Larson) is the young supervisor of the residence, and the film is also about her struggle with issues from her own past as well as her relationship with a coworker, Mason (John Gallagher, Jr.). Writer and director Cretton based the film on experiences and observations he had working in a similar institution earlier in his life. And he gets it all right. He also gets wonderful performances from a remarkably strong, young cast. 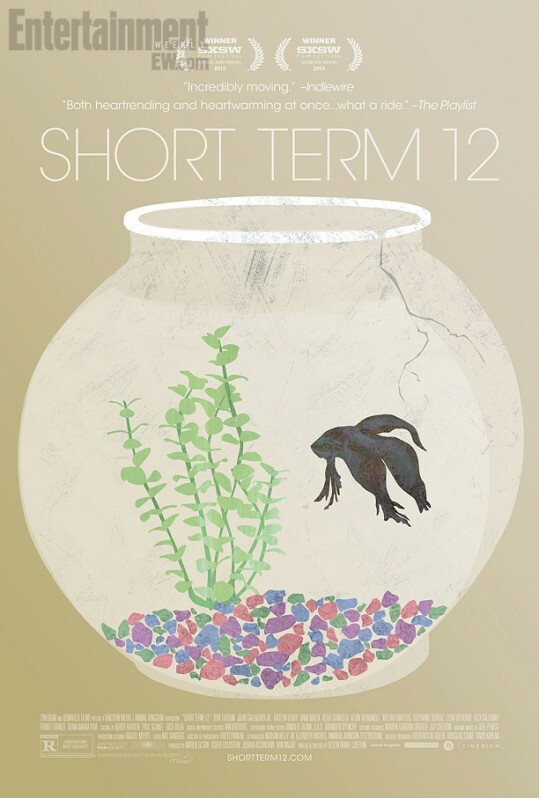 Leaving the film, I wondered if my ‘enjoyment’ and judgment about Short Term 12 was perhaps skewed by my own experiences in a somewhat similar situation (a day school tho, not a residential setting). My wife Ellen, who has spent her professional life in or near the political world, was as enthusiastic as I was about the film and also remarked that it was as good a film as she’s seen so far this year. Museum Hours is the opposite of Closed Circuit, that is if two films can be opposites. Almost nothing happens in Museum Hours. The ‘plot’ involves two people, a guard (Johann) at the Kunsthistorisches Art Museum in Vienna and a Canadian visitor (Anne) who spends time at the museum when she’s not sitting by the bedside of a distant cousin who is in a coma at a Vienna hospital. Actually, it’s probably not totally fair or accurate to say nothing happens. The two people meet, talk, and explore the museum and Vienna. At the end, the cousin dies and the woman leaves Vienna. I went to see Museum Hours knowing I don’t like museums, and I certainly don’t like spending time in hospitals. Because the reviews were so positive, I put my dislikes aside, convincing myself that at least I might get to know a bit about Vienna, a city where I’ve never been. Of course, I was surprised by what I saw. The exploration of Vienna, much of it non tourist Vienna, didn’t particularly entice me. But I found myself more interested in the museum than I ever expected to be, particularly seeing it through Johann’s eyes, then Anne’s, and also through the lens of Jem Cohen, the writer/director. Cohen brings the art to life as he mixes the paintings with current life issues. 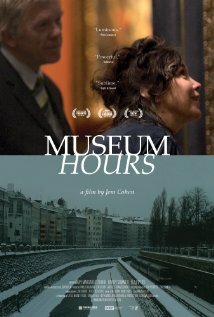 Museum Hours is indeed a film primarily about art and the meaning it may have for our lives. To a lesser degree, it is also a film about friendship, but that is mostly a vehicle for Cohen to explore the Kunsthistorisches Art Museum and Vienna. Slow at times (I admit to nodding off twice as I saw it shortly after lunch one day), it is a lovely film, with wonderful photography and an endearing performance by Bobby Sommer (his first film) as Johann. Last night proved once again that you simply have to stay until the end of a baseball game, whether that’s the 27th out or the final out or run scored in extra innings. So after blowing a 7-2 lead to the Evil Empire last night, the mighty Sox were down to their final strike in the ninth inning. 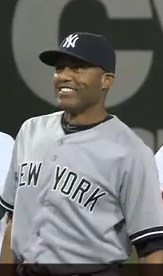 Mariano Rivera, the great God of closers, was on the mound. Mike Napoli, the strike out leader for the Sox with 171 so far this season, was up with two strikes. The Yunkee fans were all on their feet screaming for the final punch out, an amazing comeback, and an important win as their long season was hanging by a thread. And I had my hand on the off button on my iPad so I wouldn’t have to see the Bronx celebration. If you’re reading this post, you probably already know the outcome. Napoli scratches out a hit. Recent Sox acquiree and speedster Quintin Barry replaces Napoli on first, steals second and gets to third on a bad throw and a missed stop by hobbled Derek Jeter. Stephen Drew, unsung Sox player who was 0-4 already, scratches out a single, and the Sox tie the game. Rivera blows (another) save opportunity against my heroes. So if you had left the stadium, as perhaps half of the Bronx fans had already done, or switched off your TV, iPad, or radio, you missed the come back. Then it was another 15 minutes or so before the Yankees further imploded with Soriano getting greedy trying to steal third after having swiped second. He was caught. The Sox got out of the inning with the next batter. In the 10th, after a blown call by an umpire on whether Shane Victorino had swung or not, benefiit to the Sox, chubby Joba Chamberlain gave up a go ahead RBI to one of this year’s key Sox players (Victorino). Koji Uehara, the not so surprising Sox closer (to those who have followed his career closely), and perhaps the new, next God of closers, shut down the Yunks in the bottom of the 10th. Four hours and thirty-two minutes. And if you hadn’t stayed through the end of the 9th and on to the 10th, you woulda missed it. There were enough mistakes by both teams, their managers, and the umpires to fill another post, but I’ll spare you that. Suffice it to say, Thursday night’s game was simply another confirmation that no matter what, you have to stay until the end. (PS – Elsewhere I’ve written why you also have to be at the park for the first inning, as the three hardest outs are not at the end of a game but in the first inning, when most runs are scored, before the pitchers settle in and while the offensive teams have their best hitters lined up). The End of Sam Wo’s? 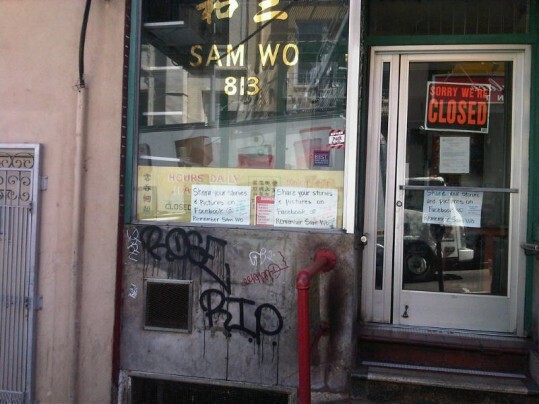 I regret to inform MillersTime readers that there will be no reopening of Sam Wo’s at 813 Washington St. in SF’s Chinatown. Closed for health and building code violations in April 2012, negotiations have broken down between the owners of the building and the owners of Sam Wo’s over the cost ($300,000) to satisfy the necessary repairs. As a result, Julie Ho announced on her Facebook page that the 100+ year’s of Sam Wo’s rental of 813 Washington St. has come to an end. The restaurant will not reopen at that site. It is possible, however, that the restaurant could reopen at a different location in SF’s Chinatown, tho that is not at all certain. Julie Ho is apparently searching for a new location in the same neighborhood. But for those of you, us, who have known this narrow, this three story ‘hole in the wall’ (?) where ‘diners’ entered through the kitchen and climbed to the second or third floor for inexpensive and satisfying Chinese food, it’s all over. No more food delivered on a rope pulled dumbwaiter. No more insults from the world’s rudest waiter (actually, he’s been gone a long time). No more two AM comfort food. Bryce Harper goes nuts. — Harper’s age-19 season was arguably the best ever for a player of his age. It wasn’t just his physical tools, but his approach at the plate, with a good walk rate and acceptable strikeout-to-walk ratio, the way he worked to improve in the outfield, and his unmatched aggression on the bases. Mike Trout set the bar high for 20-year-olds last year; look for Harper to clear it and set a new standard for baseball playing by a guy who can’t legally buy a drink. He will challenge for the NL MVP for a Nationals team that might be the best in the game. I’ve gone through the 2013 MillersTime Baseball Contests looking to see which of you will turn out to be the wise (lucky) ones. In the process, I noticed there were a number of predictions that are a bit wide of the mark, so to speak. Whoever’s the winner (i.e., the author of”The Worst Prediction for 2013) will have the ‘honor’/’dishonor’ of attending a Nats’ game with me next season.